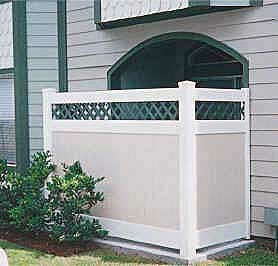 More homeowners and contractors every day are discovering the benefits of vinyl products over iron or wood for their fencing needs. 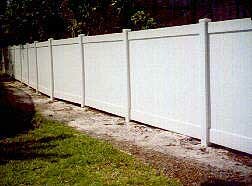 Our line of high quality vinyl fencing virtually eliminates the need for maintenance. Versatile and environmentally safe, vinyl fencing allows you to create a variety of looks and has the benefit of being non-toxic and recyclable. Vinyl fencing, one of the truly new innovations over the last 25 years, offers advantages in both durability and appearance. Our vinyl products are manufactured from only the finest quality materials and are backed by a 50 year and Limited Lifetime, depending on Manufacture. With its superb resistance to weathering you will never again worry about cracking, fading, rotting, warping, corrosion, termites, or rust. Protect your property, family and pets with vinyl fencing by requesting a quote or view our galleries including the Allied Fence Vinyl Gallery.